With so much going on with translation giants SDL and Lionbridge, it’s nice to cover the not-so-gigantic players from time to time. Take OmniLingua. This privately owned firm has been around 20 years and today announced that it was named “preferred localization supplier” by Siemens Medical Solutions. And, yes, the company confirmed to me that this includes Web localization work as well. This isn’t a new account but a promotion of sorts. OmniLingua says it has translated more than 26 million words into 29 languages for Siemens over the past five years alone. Medical device companies are choice account wins in the translation industry because the devices have lots of documentation and because the EU requires that it be translated into 20+ languages. These are BIG contracts. 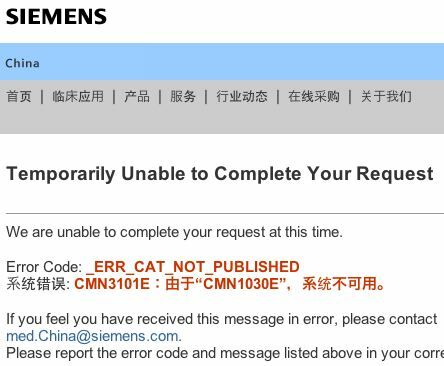 Now I must stress that this is not something unique to Siemens — error messages on Web sites are often the last test strings to be translated, if they’re translated at all. I see this on a lot of Web sites. Don’t overlook these pesky little strings because they have an annoying way of popping up when you least expect them (like when your boss is testing out your newly launched site). I’m sure OmniLingua will be helping Siemens iron out these little details in the months ahead. IBM Looks Into the Future and Sees Language Analysis Systems; What Else Does it See?